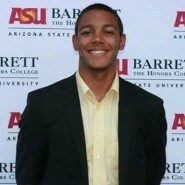 Jordan Brunner is a student at Arizona State University's Sandra Day O'Connor College of Law. He has been a research assistant at the New America Foundation and a columnist for The State Press, Arizona State's student newspaper. Jordan is a 2015 Tower Tomorrow Fellow.